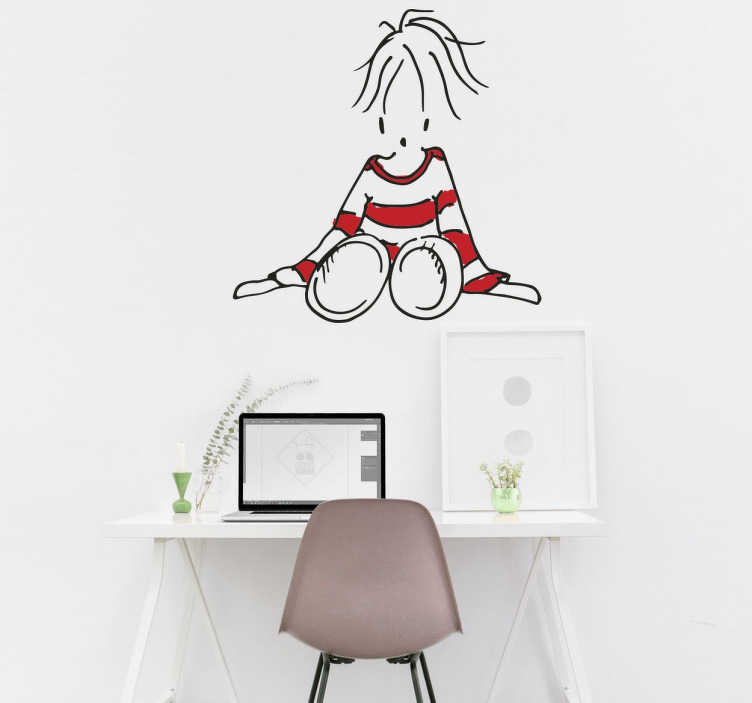 A unique and original wall sticker with an illustration of a young woman sitting on the floor wearing a red and white striped jumper. This quirky design is ideal for decorating in an alternative and fun way. Suitable for any room in your home to liven up plain and boring spaces on your walls. Create a fun 'Where's Wally' look in minutes! Choose the size and colour that best suits you and apply easily to any flat surface. Remove without leaving behind any residue.